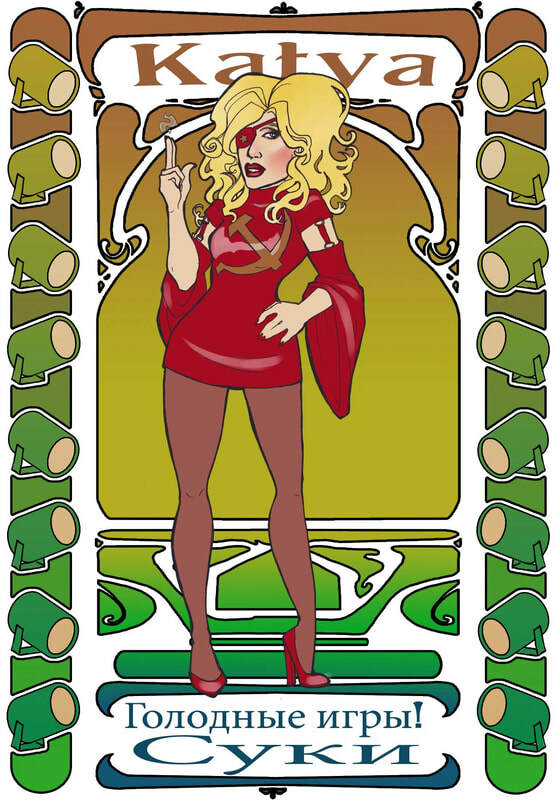 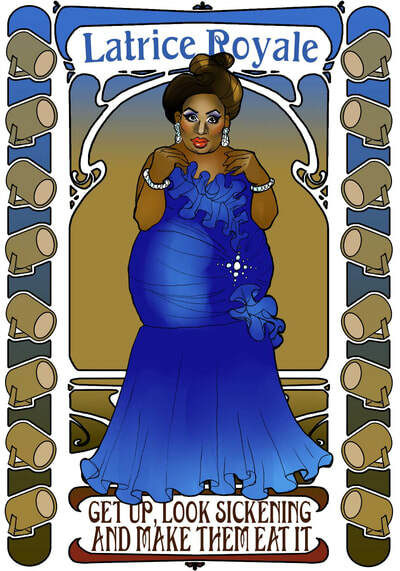 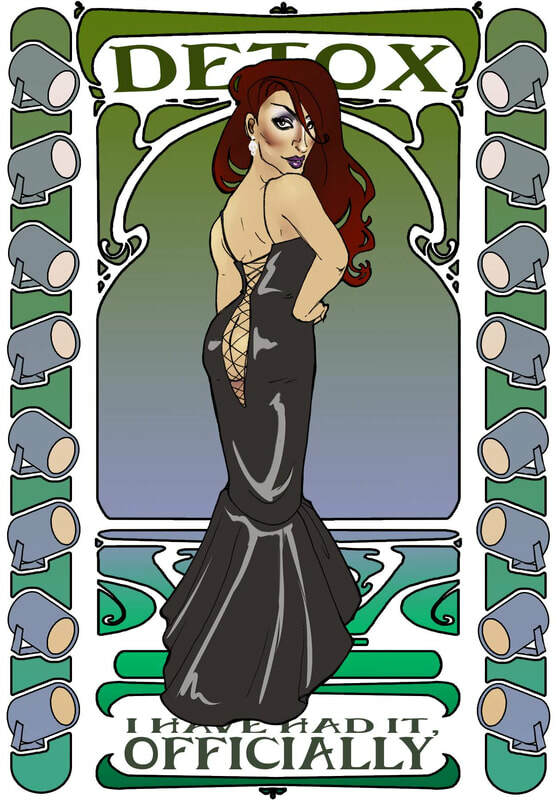 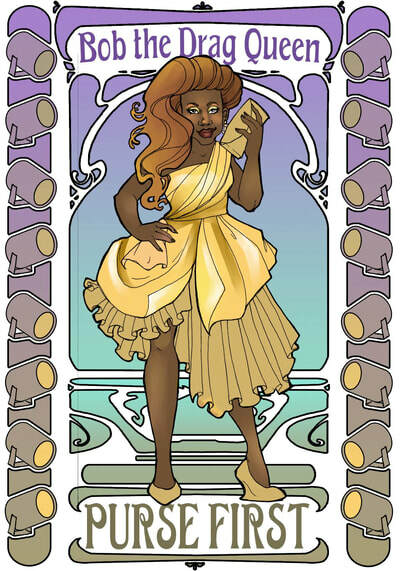 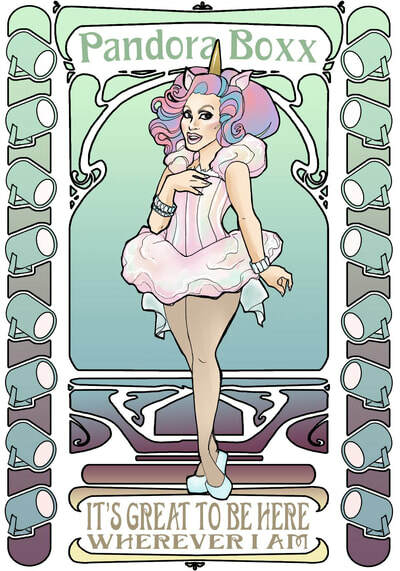 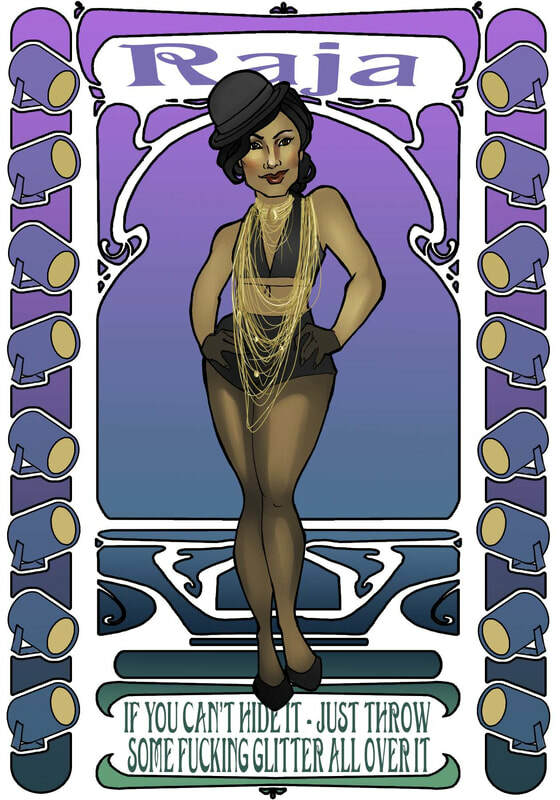 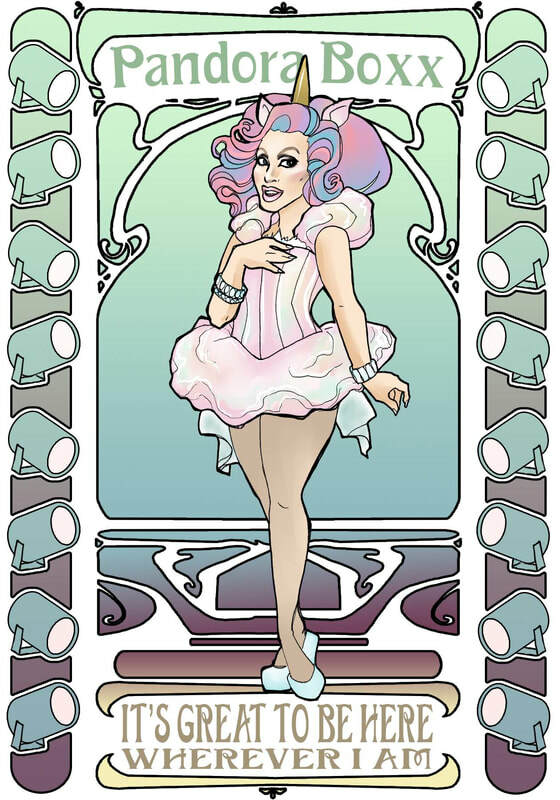 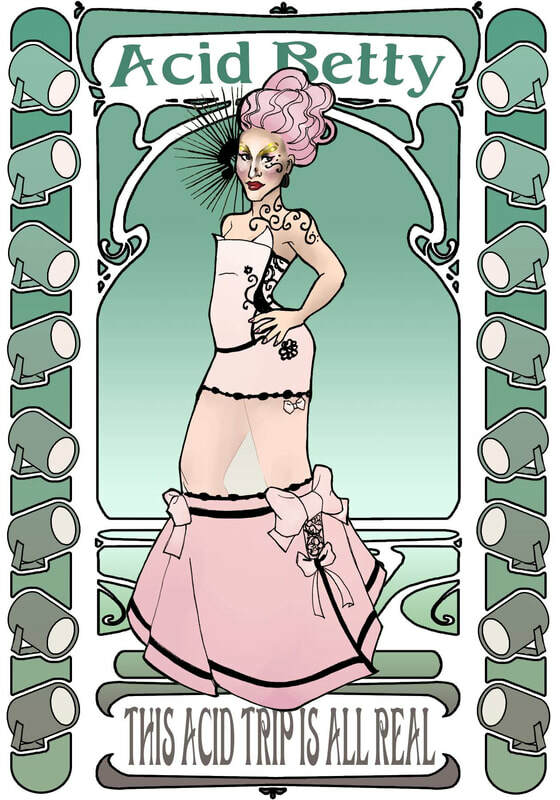 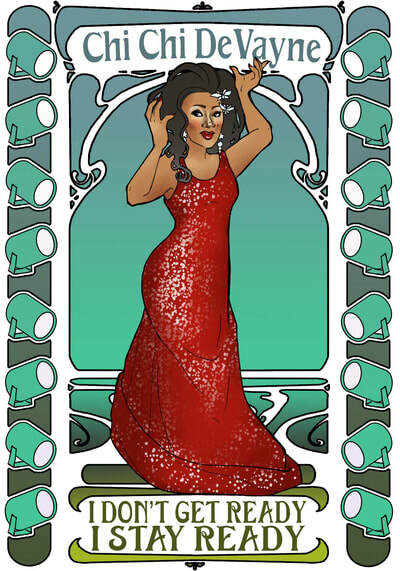 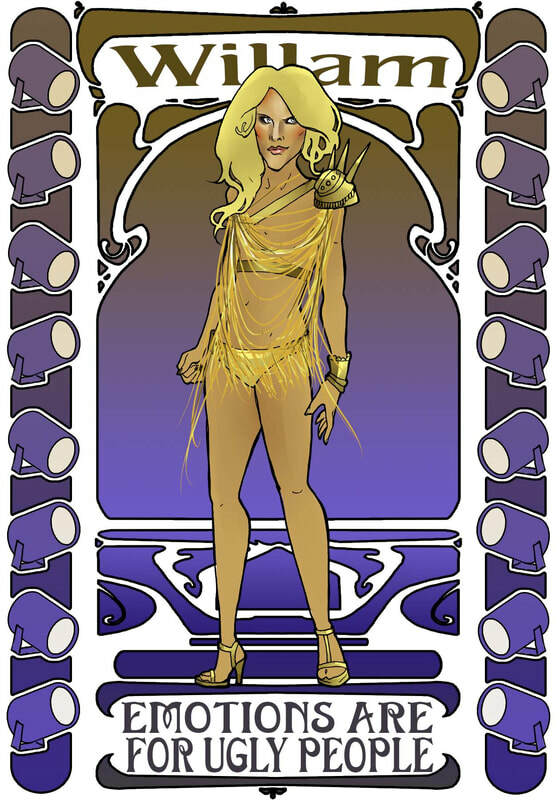 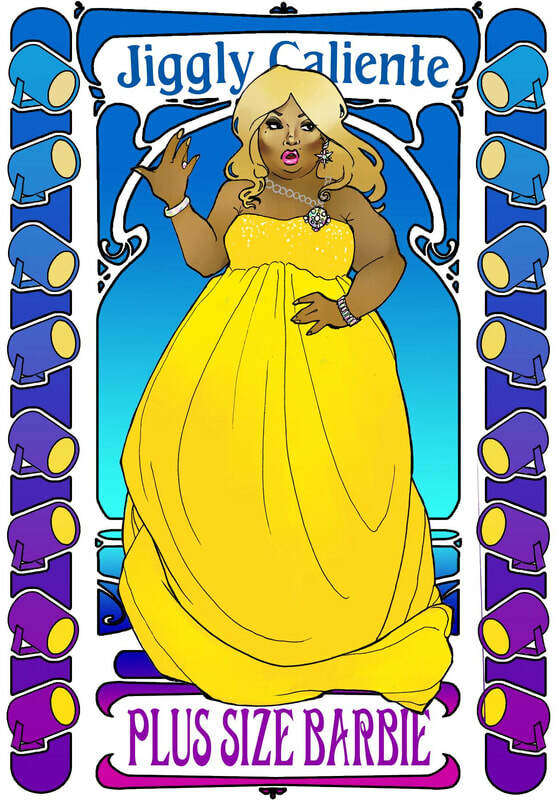 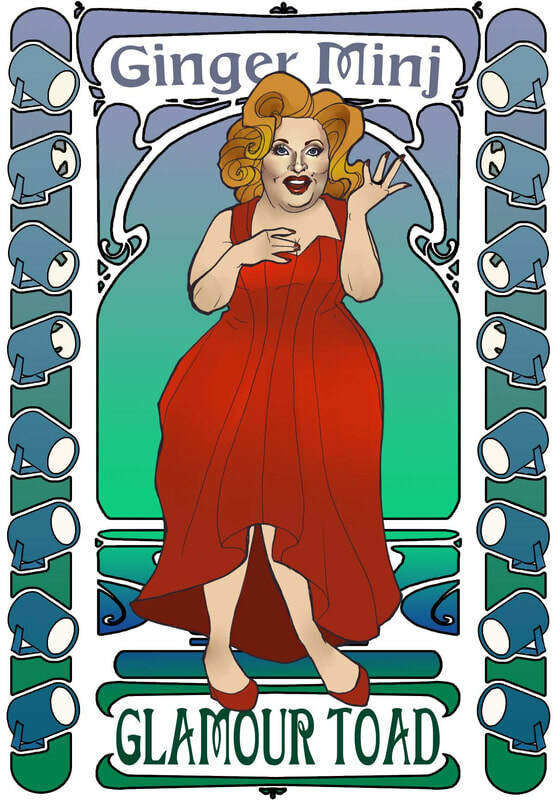 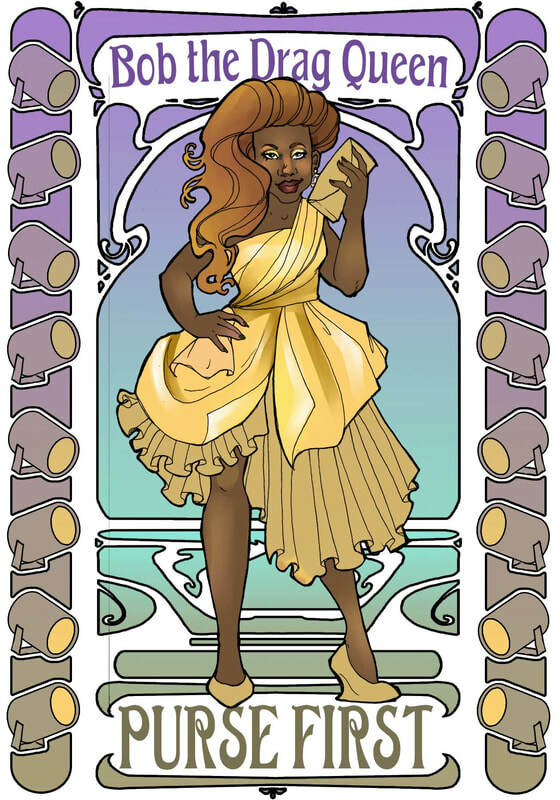 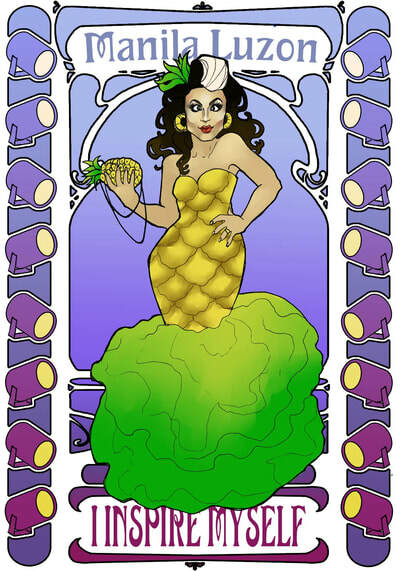 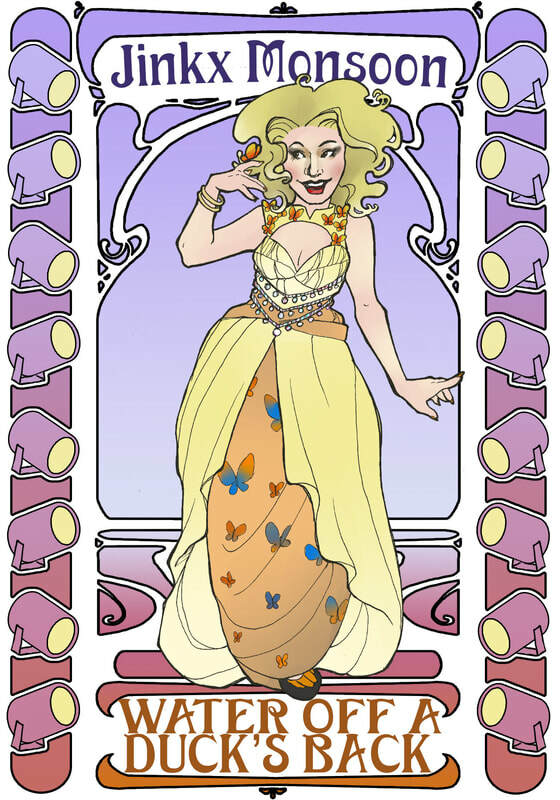 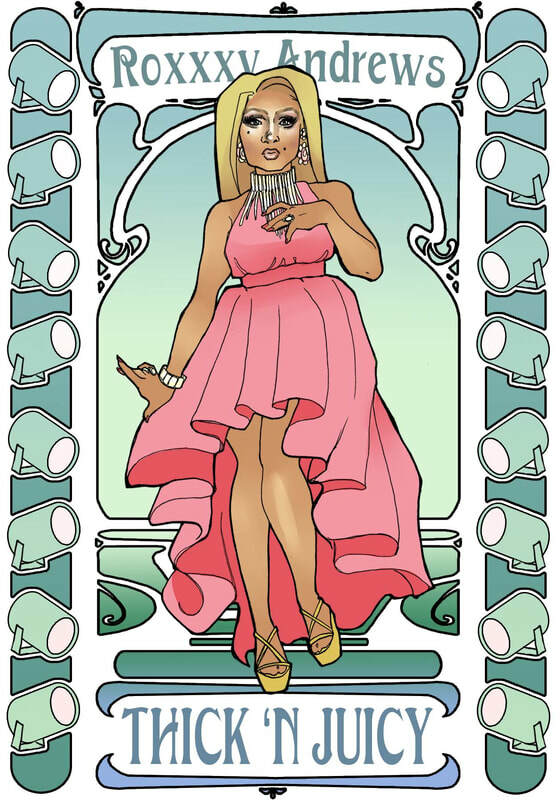 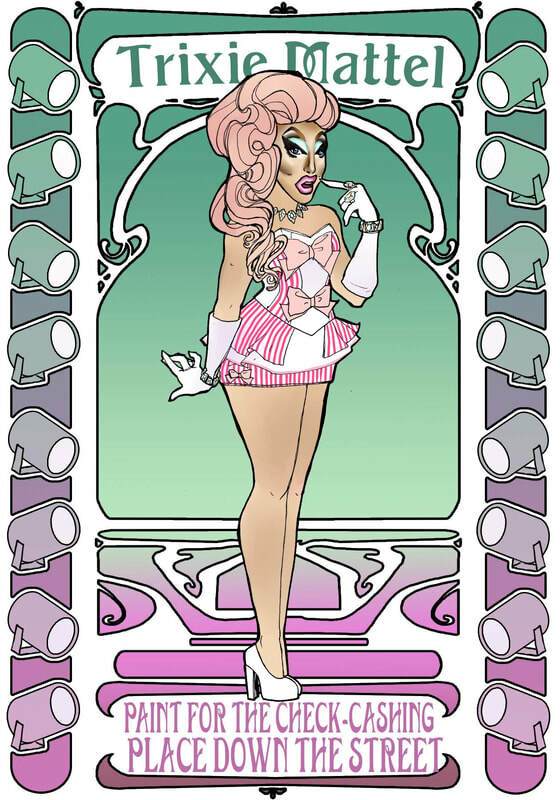 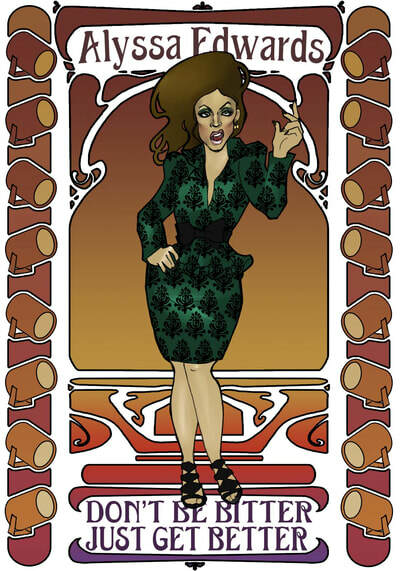 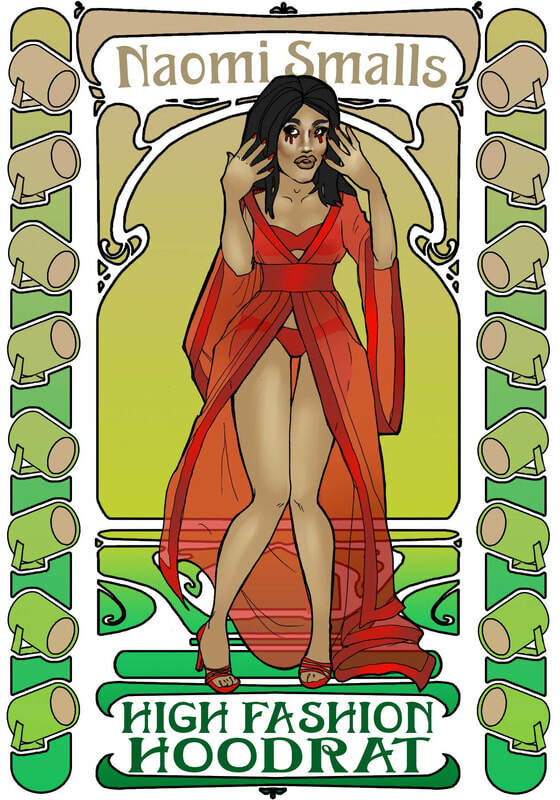 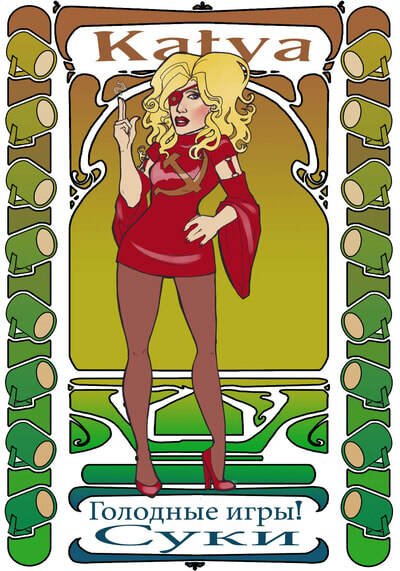 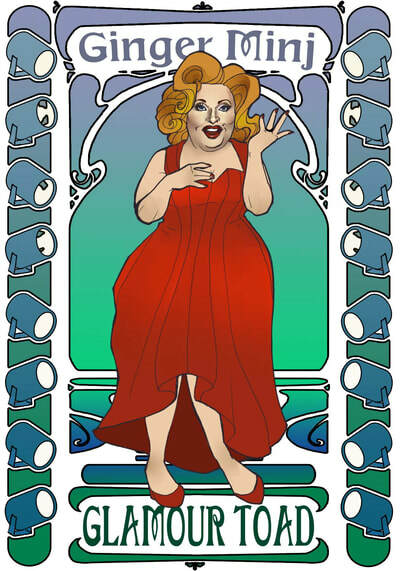 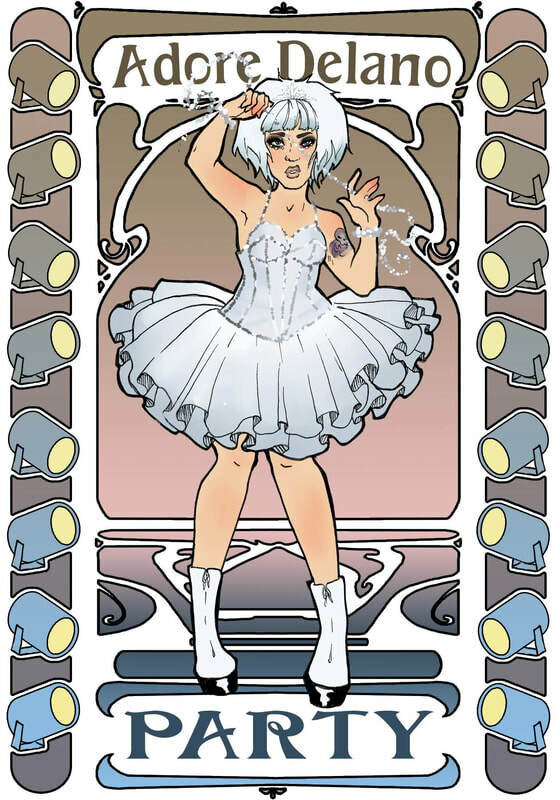 Our totally fabulous collection of drag queen art! We have featured over 30 different queens in our gallery, some of which have been given a blessed, seal of approval from the queens themselves! 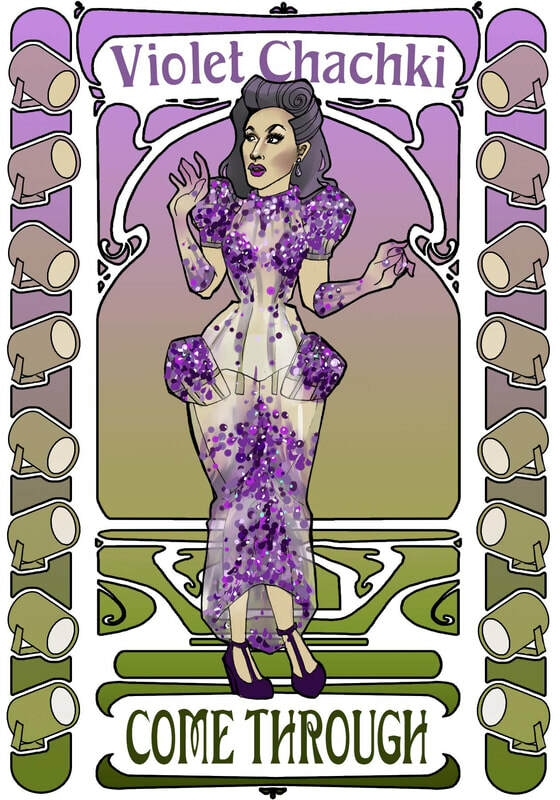 Click on the images to view them at full size! 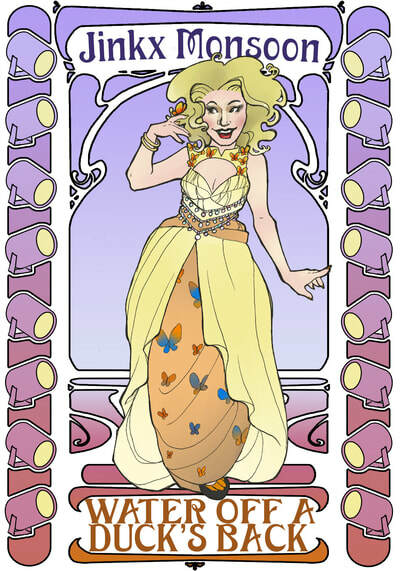 Soon, our Etsy shop will be updated to order from our store with just a few clicks. 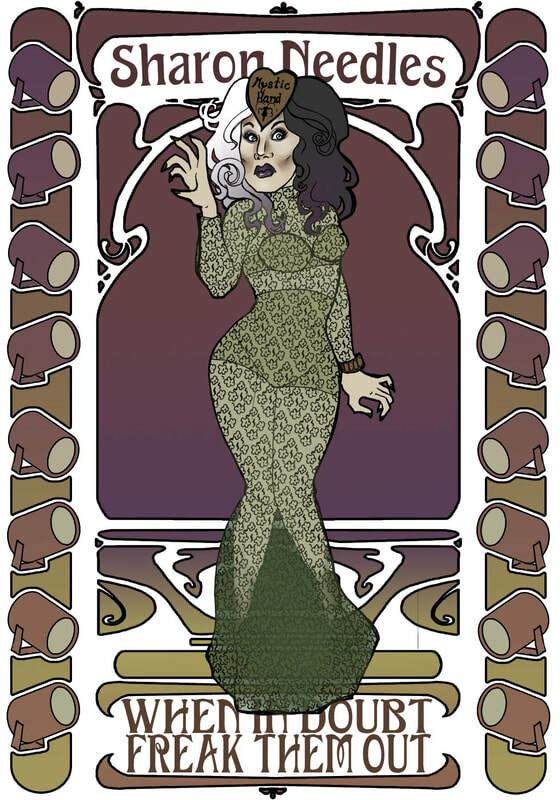 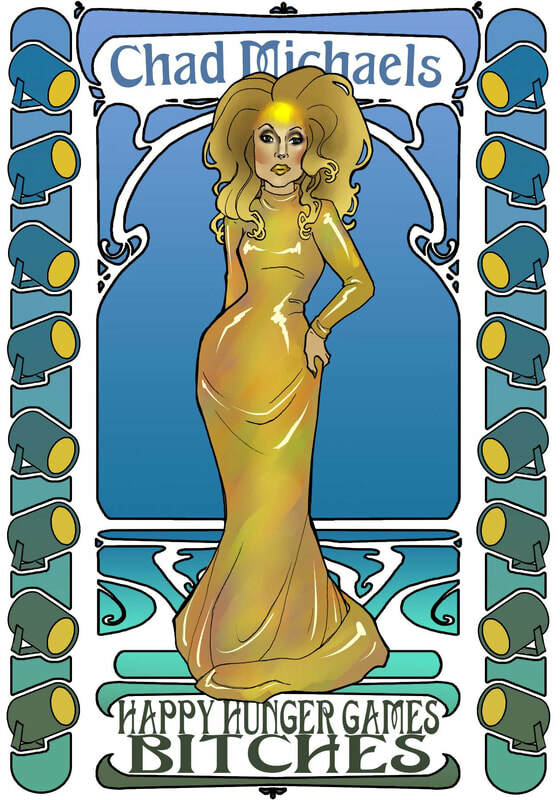 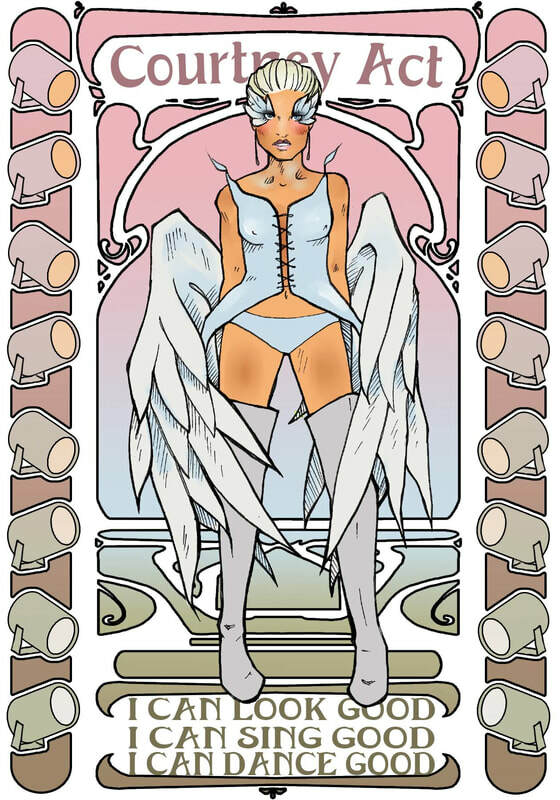 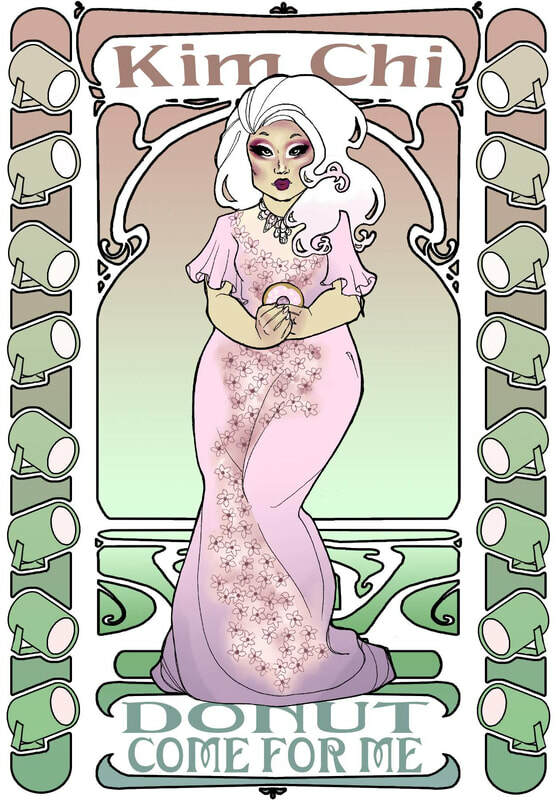 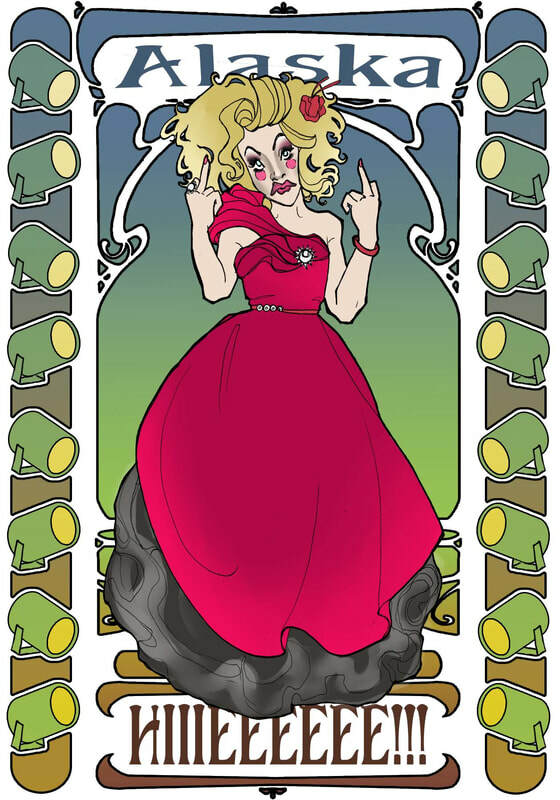 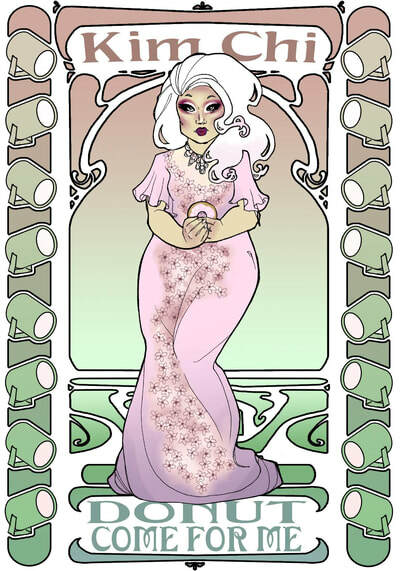 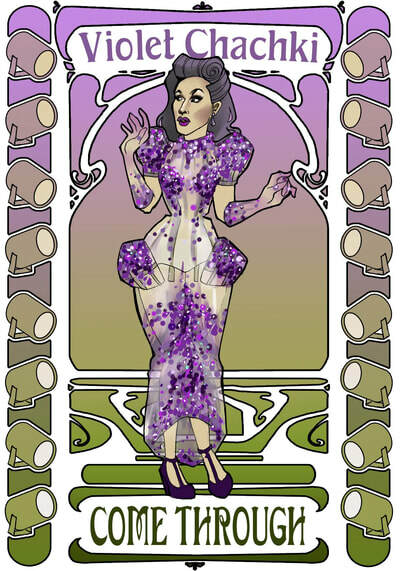 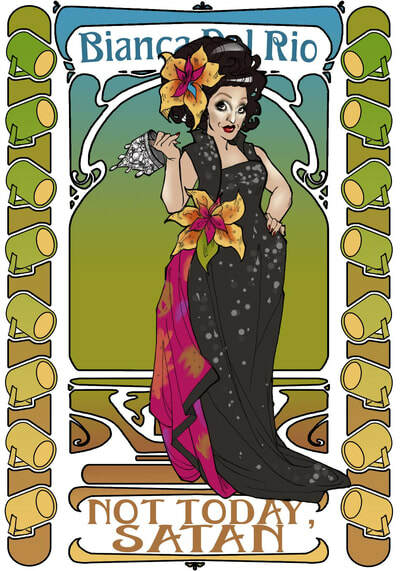 Until then, if any of the drag queen prints interest you, send us an email at atomic.pixies.art@gmail.com and we will happily get them sent out to you. 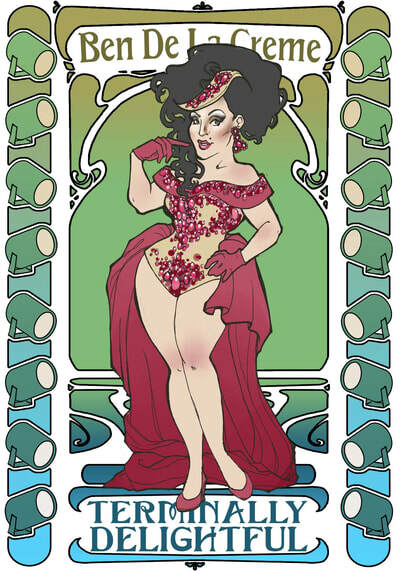 Our 4x6 postcard size prints are $5 each, with every 5th one, free!